At a Petrochemical Seminar, organized by the PetroChemical Consulting Alliance in Rio de Janeiro, mister Graham Wallis, CEO of São Paulo-based consultancy Datamark, confirmed that the Brazilian plastic packaging market will grow at a compound annual rate of 4.9% to 2015. A substantial growth is expected in the beverage and personal care markets. Datamark specified the rising demand in Brazil for plastic packaging in the period between 2011 and 2015: for personal care about 7.1%, for drink packaging about 5.7% and for food about 5.0%. 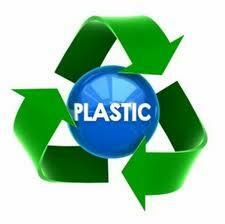 Other conclusions: Plastic packaging will have the highest growth rate in the Brazilian packaging industry. Polypropylene and polyethylene terephthalate (PET) resin are expected to show the highest rates of growth with 5.7% and 5.2% CAGR respectively until 2015. 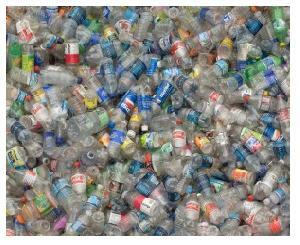 In 2011 the Brazilian packaging market totaled 9.7 megaton and plastic packaging represented 26% of this total. 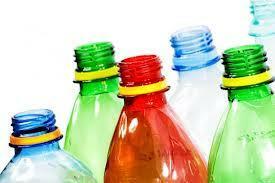 The plastic packaging market is expected to increase by 520,000 ton till 2015, increasing its share of the packaging market to 27%. According to mister Wallis, there are still opportunities within this sector: "There is room for more sophisticated packaging in Brazil, namely in terms of closures and flexible packaging with added value substrates as disposable income grows and the need for product differentiation increases". Important companies such as Tetra Pack, Sig Combibloc, Dixie Toga and International Paper have also decided to make significant investments in Brazil’s packaging market regarding the consumer demand to fit products to the green and environmentally correct trend. Besides that investments save company resources and can reduce raw material and transportation costs while manufactures will modify products to deliver a lighter, thinner and easier to handle packaging. So future investments will focus on new plants, acquisition of local companies, investment in research and technology and increase of capacity and production. The Brazilian government supports this development and has established the Política Nacional de Resíduos Sólidos (PNRS) or The National Policy on Solid Waste. The bill’s objective is to make companies responsible for their products throughout their life, or so-called “reverse logistics”, which constitutes a set of actions to facilitate the return of waste to their companies, to be treated or reused in new products. The government is acquiring a stronger position as an authority regulating the packaging industry in view of promoting more sustainable activities. To promote the exports of finished plastic products and to encourage Brazilian plastic converter industries to substantially develop their business and meet foreign companies to expand their business overseas, several institutes and programs such as Apex-Brasil (under the coordination of the Brazilian Plastic Institute - INP) and the Brazilian Export Plastic Program focus on contact moments with foreign companies.